The 60th Annual Grammy Awards were held at Madison Square Garden in the New York City, the USA. The host of the ceremony was James Corden, for the second year in a row. 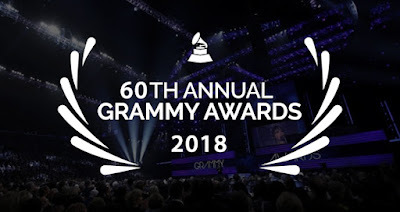 The Grammy Awards 2018 were to honour the outstanding achievements from October 2016 to September 2017. The highlight of the event was Bruno Mars who swept the top categories at the event. He won three out of the four major categories for "24K Magic" and "That's How I Like It," and took home six Grammys in all. Kendrick Lamar followed as the night's second-biggest winner, claiming five Grammys.